These days, getting a virtual phone number couldn’t be easier. If you work with a reputable service provider, such as Global Call Forwarding, you can be up and running with your virtual phone number within just a few minutes. Here’s how it works. Contact Global Call Forwarding by phone or online. Explain to the service expert about your business and why you need a virtual phone number. Decide in which country or countries you wish to have the virtual phone numbers. The Global Call Forwarding service expert will take the details of the number you wish to have calls forwarded to you and will assign your numbers. He or she will then explain how you can manage your numbers with the user-friendly online console. You are then ready to start using your virtual phone numbers. Now you can organize your numbers and where they are routed to. You can also use the online console to record calls and take advantage of the advanced features. With virtual phone numbers, Global Call Forwarding gives businesses the features they need to boost their brand internationally. Call Recording: By automatically recording all inbound calls, businesses can accrue valuable information which can be used for training purposes, reviewing their customer service, and enhancing their performance. It is also a great way to keep records of all verbal transactions in case of legal proceedings. Unlimited Extensions: By customizing their extensions, business owners can get callers to the person, or department they need with the minimum wait time. This feature enables customers to reduce their costs while upping their game on customer service provision. 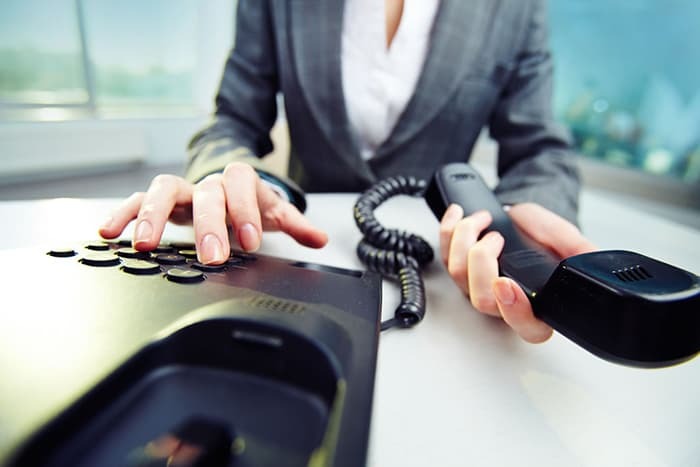 Advanced IVR/PBX: Interactive Voice Response is an innovative feature which allows a computer greeting system to answer incoming calls and give the caller instant information. Callers easily navigate the menu with their voice or telephone keypad. Enterprise API: Global Call Forwarding API empowers businesses by giving them the tools needed to manage many standard and customizable operations to make their business communications more streamlined. Customized Greeting: Because the customer’s first impression is lasting, business owners can make the most of a customizable greeting to welcome callers in their unique way. A customized greeting gives companies an edge over their competitors. Time of Day Routing: One of the most useful and versatile business telephony tools, time of day routing ensures no calls are missed so, callers don’t get frustrated. From startups who are transitioning to corporations with high call volumes, this feature is indispensable. Failover Forwarding: Company owners can make sure their customers always get the attention they deserve. This feature allows multiple phone numbers or VOIP accounts to be programmed into the service. If the first number is busy or fails to connect, the call will be routed to the next number on the list. Voicemail to Email: Global Call Forwarding ensures that a missed call does not have to mean a missed opportunity. Voicemail messages to virtual phone numbers can be sent to email so that they can be read immediately. SMS Forwarding: This new feature gives customers the chance to have an SMS-enabled virtual number. They can then forward incoming SMS messages to an email address of their choice. Local Ringback Tone: With a virtual phone number, Global Call Forwarding helps businesses establish an international presence, and local ringback tones to help maintain it. Callers will hear the ringtone they are used to hearing and will not realize they are calling someone in a different country. Black and White Lists: Subscribers can have complete control over accepting and rejecting calls. Numbers can be blacklisted or whitelisted based on their area code. Specific numbers can also be completely blocked, so company employees don’t waste time and money on unwanted calls. Rollover Minutes: Global Call Forwarding helps their customers make the most of every minute. That is why unused virtual phone number minutes are carried over from one month to the next for up to six billing periods. Call Transfer: Small businesses which don’t have a PBX system in place can take advantage of call transfer. It allows them to place incoming calls on hold, press a preprogrammed sequence of digits and seamlessly transfer the call to a different department. Account Management: It couldn’t be easier for customers to manage their virtual phone number. They can easily access their account settings, change ring-to numbers, organize or modify their advanced features, track calls, listen to recorded calls, and view call details at any time via the online console. Find out more about how to get a virtual phone number and how it can work for your business by contacting Global Call Forwarding today. Our team is waiting to help you establish a global presence throughout the world.